This is a relatively young place, for the opening of the Sports Port was held in the month of May 1970. Since then, its growth has been unstoppable; While it has become one of the hallmarks of most international Marbella. It was built following the model called "Marines". The exploitation of it is done by administrative concession, whose term is 99 years. This is a unique location in a nice standard of living, ideal for live or spend a holiday in any of the quiet residential areas surrounding it, as LA QUINTA, which are combined in a perfect balance quality develops life and the proximity of all services offered by the Costa del Sol. Banus Port always populated by famous and illustrious personages: from Their Majesties the King and Queen of Spain, the Belgian monarchs, the Prince of Monaco, or characters of Art and Culture, Sports and artists: Camilo Jose Cela, Miguel Indurain, Antonio Banderas, Severiano Ballesteros, and so on. 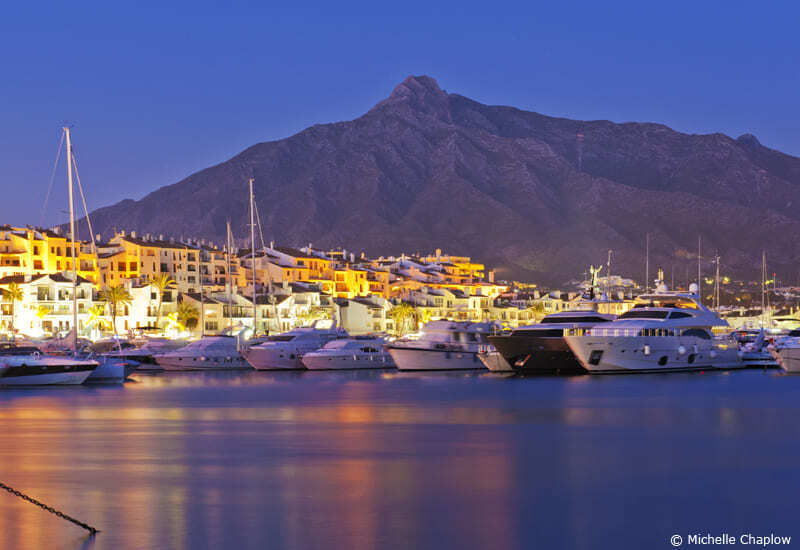 Banus Port visits per year are calculated receives amid almost 4 million. This makes having a ambience of the most cosmopolitan Mediterranean. Its proximity to other tourist facilities and excellent communications with the entire Costa del Sol and the interior of the province, come to reinforce this influx of visitors year after year. 4.7 of 5 based on 1272 votes.